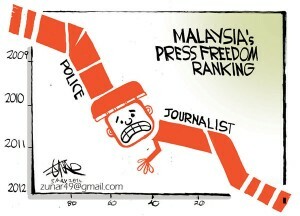 “The Malaysian government has no sense of humor.” This is the polite way that cartoonist Zunar describes his home country’s current administration and their controversial and unjust treatment of free expression in a recent editorial piece he wrote for the Washington Post. The government hasn’t just targeted me and my associates; it also has cracked down on the entire ecosystem of free expression. Three companies that printed my books were raided and warned not to print my books in the future or their licenses would be revoked. Likewise, bookstores that carried my book were raided and their licenses were threatened. As a result, no one dares print or sell my books. Zunar notes that it is not just the traditional print industry that has been targeted. 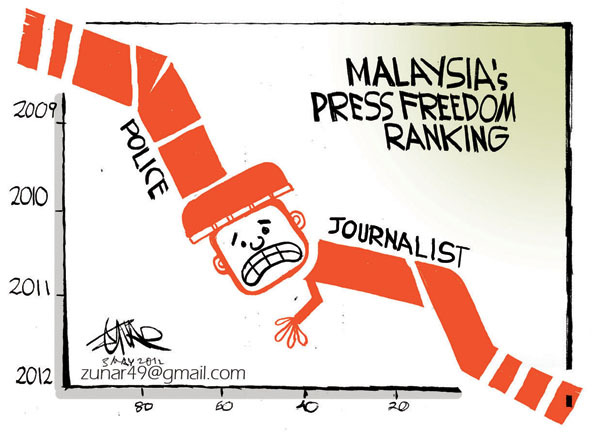 As exemplified by his current charges, the prosecution claims violated the antiquated the 1948 Sedition Act — an act that predates Malaysia’s constitution and Zunar is currently challenging for its constitutionality — the digital sphere is also under attack. If a person can face sedition charges for stating a belief in 140 characters or less, then there is no freedom of expression. 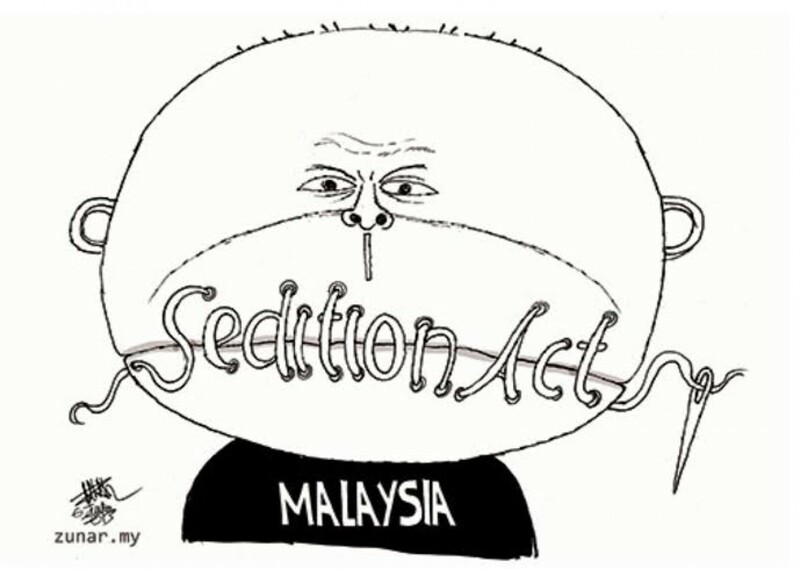 The Malaysian Sedition Act is incredibly broad, banning any act, speech or publication purported to bring contempt against the government or royal sultans. In 2012, Najib pledged to repeal the act because, he said, it “represents a bygone era.” He’s since reversed course and moved to strengthen it. 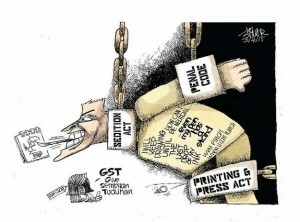 Despite the obstacles that he has faced, Zunar has continued to produce work that exposes the corruption and abuses of power being exercised by the Malaysian government and to be a staunch advocate for freedom of expression. 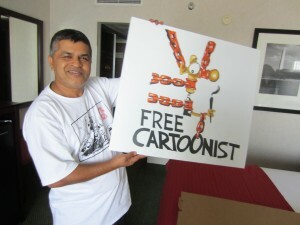 Whereas the government has attempted to silence the cartoonist, other advocates of free speech have stood in support and further disseminated Zunar’s work. From his reception of the Committee to Protect Journalist’s International Press Freedom Award to his nomination as a champion against censorship for Index on Censorship’s 2016 Freedom of Expression Awards, the increase in public awareness of his case is helping to shed light on the human rights injustices cartoonists, journalists, and writers continue to face around the world. Read his full editorial piece here.